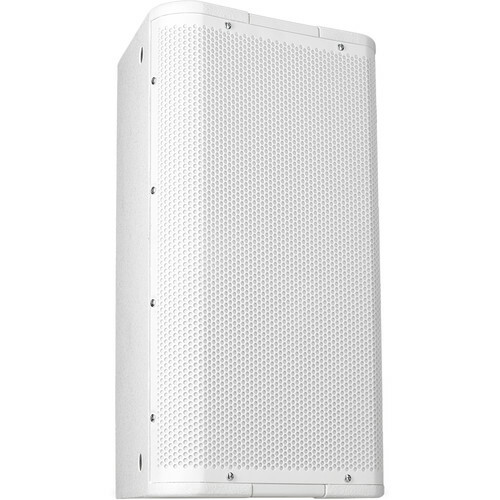 Color / Driver: White / 10"
White / 10" White / 12"
Designed for the latest immersive sound surround formats, the white QSC AP-5102 Acoustic Performance Cinema Surround Loudspeaker provides uniform power-response from the Directivity Matched Transition (DMT) technology that matches the LF and HF coverage in the crossover region, as well as the axisymmetric waveguide for an uncompromised performance in both the vertical and horizontal axes. The wide 105° dispersion provides ideal coverage for large seating areas in a room with low-ceiling height. The 15mm Baltic birch enclosure houses a 10" woofer and 3" compression driver, which combine for a frequency response of 60 Hz to 18 kHz (-10 dB) and a maximum SPL of 127 dB (peak). The loudspeaker can be used passively or bi-amped and accepts NL4 or barrier strip inputs connectors. QSC recommends a 720W amplifier capable of driving 8 Ohms. The QSC AP-5102 includes 15 threaded M10 insert points.